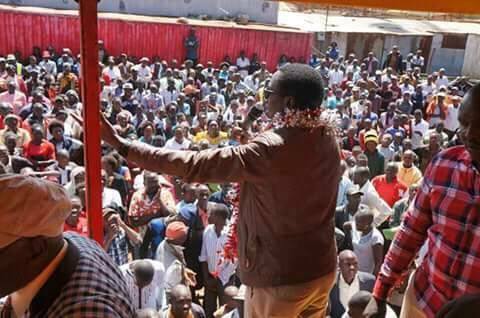 BUZEKI claims that he gave thousands of Uasin Gishu Youths jobs in Mombasa leaving residents jobless. - Bana Kenya News, Real African Network Tubanane. Home featured Mombasa BUZEKI claims that he gave thousands of Uasin Gishu Youths jobs in Mombasa leaving residents jobless. BUZEKI claims that he gave thousands of Uasin Gishu Youths jobs in Mombasa leaving residents jobless. The Uasin Gishu businessman and gubernatorial aspirant Zedekiah Kiprop Arap Bundotich famously known as "Buzeki" who has his business headquarters in Mombasa ADMITTED on a national Television (NTV) that he has been ferrying people to Mombasa and give them some jobs. The Uasin Gishu aspirant who was in a head to head interview with Uasin Gishu incumbent governor Jackson Mandago submitted that he has ferried over one thousand youth to Mombasa and Kilifi and offer them employment from various sectors of his business and other associated companies. The Gubernatorial aspirant was alleged to closely associate with the Deputy president William Ruto and as a project of William Ruto. The Uasin Gishu Governor Jackson Mandago claimed that Buzeki has been compromised by the office of the deputy president and his affiliates. The Jubilee primaries fiasco has revealed that people from Murang'a were also taken to Mombasa to be given jobs. The youths were taken to Mombasa to be given jobs in order for the transporters to gain momentum in their campaigns. It is now clear that the people of Mombasa will continue to suffer from their youth being jobless because the companies opened do not have job vacancies as the directors ferry people from their home counties. The Mombasa and Kilifi Governors should wake up and fight for their peoples' rights or else their jobless people remain jobless. The business people from upcountry have been taking advantage as the current leaders compromised. The Jubilee drama has also revealed that the majority of aspirants got their wealth in the Coast region. The aspirants tore each other in public revealing more information that people think it is not important. Isaac Langat and Buzeki are close friends of the Deputy president and they have invested their riches in Mombasa and benefited the people of Rift Valley.